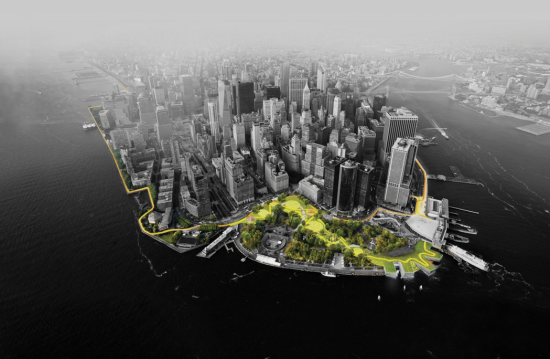 The City of New York has selected AECOM to lead the design and build of coastal resiliency measures for Manhattan, formerly known as the Dryline (and before that, BIG U). 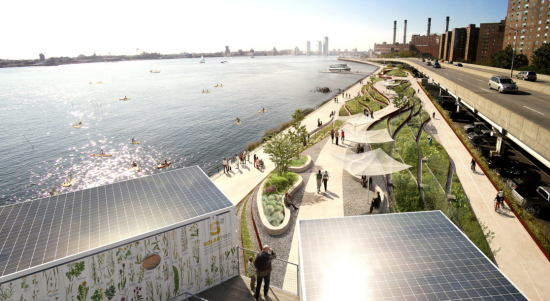 The project team includes Dewberry, Bjarke Ingels Group (BIG) and ONE Architecture. BIG and ONE provided the original vision for the 10-mile-long project, and are working on the project’s Lower East Side component (Phase 1). That phase, which should be complete by 2017, runs from Montgomery Street to East 23rd Street. 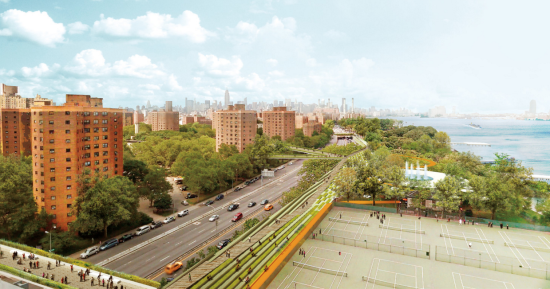 That (fully funded) $335 million initiative incorporates parkland and recreational space into and over berms and heavy-duty flood barriers in the East River. Starr Whitehouse collaborated with the firms on the landscape design. 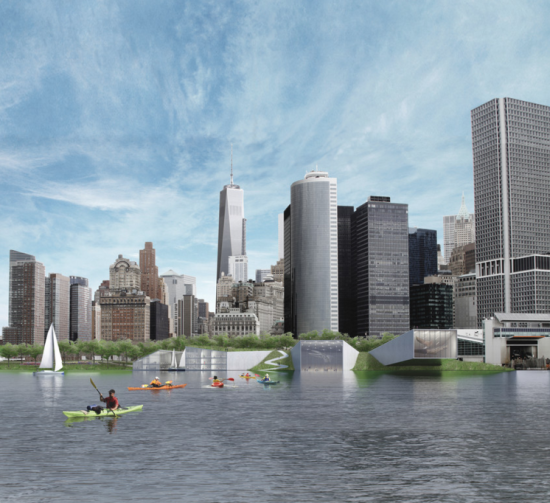 AECOM and Dewberry New York–based firms responded to a request for proposals issued by the New York City Economic Development Corporation (NYCEDC). The duo’s design will encircle the lower Manhattan waterfront for around 3.5 miles, from Montgomery Street on the Lower East Side, around the island’s southern tip, to Harrison Street in Tribeca. The project is expected to cost more than $1 billion, Crain’s reports. New York State Senator Chuck Schumer secured $176 million in federal funds for the project, while the City has set aside $100 million in capital funds last year, on top of an earlier $15 million contribution. There’s no renderings yet available of AECOM and Dewberry’s design, but AN will keep you updated as the project progresses.